I've never felt insecure about my status in my children's lives, I'm not their biological dad but I am their dad. Wiped backsides, cleaned up the aftermath of projectile vomit, suffered hours of homework, crap TV & an eternity of parents evenings. Blue light hospital trips, nights on hospital wards, dentist traumas and hours in casualty. I've had my nose broken, accidentally she claimed, by Sarah. My leg bitten til it bled, she was a tiger she explained, by Gracie. All in the line of dad duties. I admit to not being a Waltons type dad, no sage words whilst sat on the porch, I'm not their 'bestie' and I don't want to be, but I took the good from my childhood and we did ok.
Then this summer for a fleeting moment all seemed lost. What if they make their future exclusively with them? I thought I was secure, I thought I was progressive, open and forward thinking. I thought all that history counted for something. It was a like the sensation of being winded and for what seems like an eternity you can't breath. You forget how to, and something that you've done countless times suddenly is forgotten and outside of your control. Straining to draw air, panic rises. I floundered, what if they were going to leave and put the last 15 years behind them. All my dues counted for nothing, faded away, those experiences did not make me a dad. The years of being there suddenly meaningless. All that 'stuff' meant nothing because I love them. I couldn't consider them not being part of my life. 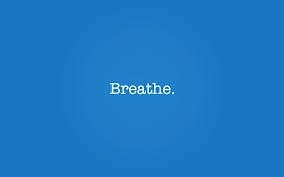 Then you breathe. You catch air again. They are not leaving just exploring, broadening, rediscovering. They are my children and I am their dad. Food for thought...how would I feel if my daughter's birthparents came into my life. I think I know, I think I can predict, I think I'd be fine ...but who knows. It came as a surprise, in my head I'd thought id be this cool and accepting kind of guy. Thank you for writing this. There is so much talk about honouring our children's past (which I do) and maintaining appropriate contact (which I do) speaking honestly and openly about birth family (which I do) and supporting children through reunion if that's what they choose (which I hope I will be able to do) that sometimes I'm ashamed of myself when I feel that strong desire to fold him into my arms and pretend that his horrible past never happened and pretend that I am his only mummy and love and security are all he's ever known. I, too, have nightmarish whirling thoughts that one day, after all we've been through, I'll lose him to his birth family. Of course, when it comes to it, we put our children and their needs first, even if it means the potential for great loss. But it's good to hear it said 'out loud'. Thank you. You should blog that right up! As always a pleasure to read you comment, ta. We often laugh like drains at the nose breaking incident, I was stood in a swimming pool at the time. it was like a scene from Jaws, blood everywhere. Thank you for sharing this. A small part of me still feels insecure as a mum because Missy holds her birth mum high on a pedestal. I know there will come a time she will want to know more, perhaps meet her and so I shall remember your wise words "exploring, broadening, rediscovering". Thank you. Our children have such complex issues to navigate and that added to all the other stuff! Bless em. It's hard to explain, I'd considered it over the years and it wasn't anything my children did. It just came like a jolt 'what if they leave me'. Quite a shock. Thanks for the #waso and the comment. I observe that we all have our insecurities when we consider out parenting, just a few extra options for adopters! Thank you for sharing something so personal, something that we could all have to face. - beautifully written by someone who obviously loves their children very much. How very kind of you to say, thank you for commenting. Shameless self promotion, that's why I love you! I can only imagine I might get my own jolt like this one day. I don't know how I will handle it; like you I can picture how it might be and I feel that I'm ok but when it comes to it I'm not sure I will be. Thanks for sharing, great post. I guess for us all it's uncharted territory, we can only guess what it will really be like. You make sense of it all. I know that feeling... and quietly living with it every day, all through out their early years. My three all have open adoptions, and birthparents have shared dinner with us, gone to church with us, come to birthdays and holidays... cried on my couch, about how hard it was to leave their child with "me" each time. Then, as the kids were old enough to ask questions, to be the ones in charge of directing the relationship (as we had done for their infant selves...) their birthparents stopped visiting, calling, coming. My kids were left, again. I am still here, even after a rough scare with cancer... just as you will be there for your children too. Don't worry, you ARE Dad. You've had an interesting journey. It sounds as though you've had to navigate some challenging and complex situations and emotions! What a brilliant post. I had a small stab of this today when showing pictures of birth mum to my little one. Felt extremely guilty as I knew this was what I would take on. Makes me feel so much better and realize I'm only human and that everything I do is for them. Sometimes I think we have to give ourselves a break. Thank you for commenting. As I get older I increasingly see the need for me to go a bit easier on myself, mostly I'm just doing my best with what I've got. So, like you say, take it easy.